Exploring the Flathead Valley is easy by car, but for those looking for public transportation you might want to rethink your touring strategy. Whitefish transportation is limited, so plan ahead. What is the best route for driving into Whitefish? There is only one main highway which passes through Whitefish, Route 93, as it winds its way north to the Canadian border and south to Kalispell and Missoula. For those flying into Glacier National Airport in Kalispell, rent a car at the airport and travel the 15-plus miles on Route 93 into downtown Whitefish. 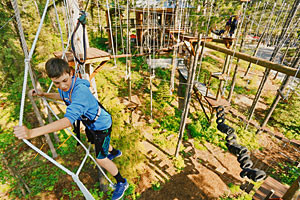 From Whitefish, exploring the other Flathead Valley attractions is easy since there are only a few routes north. Montana is vast, but the highway system is concise and well-marked. In Whitefish there is only one taxi company and a very limited local bus route. Without a car, visitors must rely on Amtrak to visit the Glacier Park and the train only leaves once a day, but suffers from constant delays and cancellations. Once inside the park, visitors should take advantage of the very efficient Glacier Park shuttle which transports passengers to most visitor centers and over Logan’s Pass. The shuttle is free with the price of admission. For those looking to explore the park with a guided tour, the Glacier Park red buses are a once in a lifetime experience and offer a unique perspective and rich historical insight. In winter, the Whitefish Mountain snowbus transports visitors from downtown Whitefish to the top of the mountain and runs frequently throughout the day. Visitors wanting to fly into Montana will arrive in Glacier Airport in Kalispell. In less than one-hour’s drive, you can reach Whitefish. The next closest airport is in Spokane, Washington and offers an easy 4 or 5-hour drive into Whitefish. Do I need a car to explore Whitefish? A car is strongly recommended on your visit to Montana. Only if you plan to limit your stay to downtown Whitefish, you will not need a car. 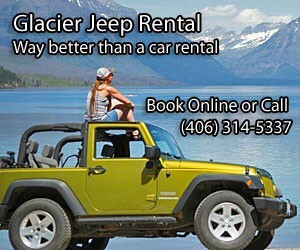 Due to the lack of public transportation, in order to reach the highlights in northwestern Montana, such as Glacier National Park, Flathead Lake, Kootenai Forest or Swan Lake, you will need to have a car. Part of the fun of visiting Montana is exploring the vast countryside and stumbling upon an undiscovered picnic spot near a lake or wandering along a lesser known hiking trail. 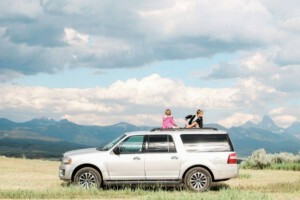 With a car, visitors have the freedom to make the most of their Montana vacation.